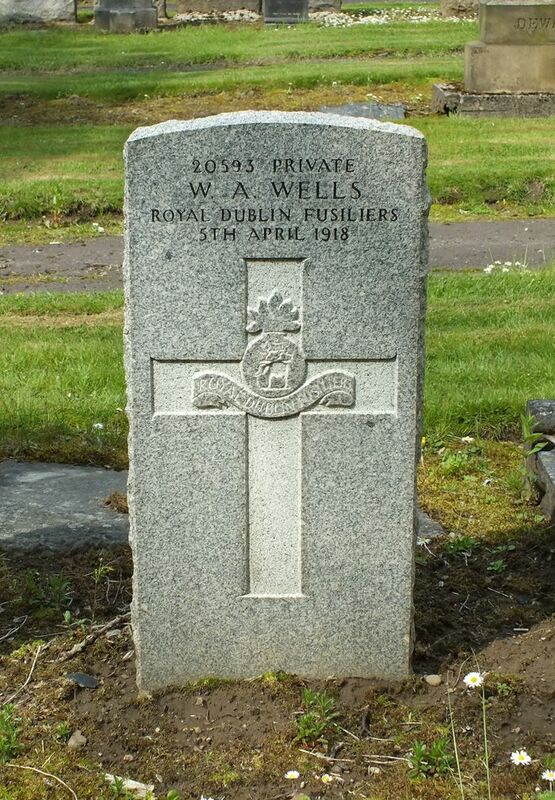 Regiment/Service: Royal Dublin Fusiliers, 7th Bn. Additional Information: F.A.P. member. 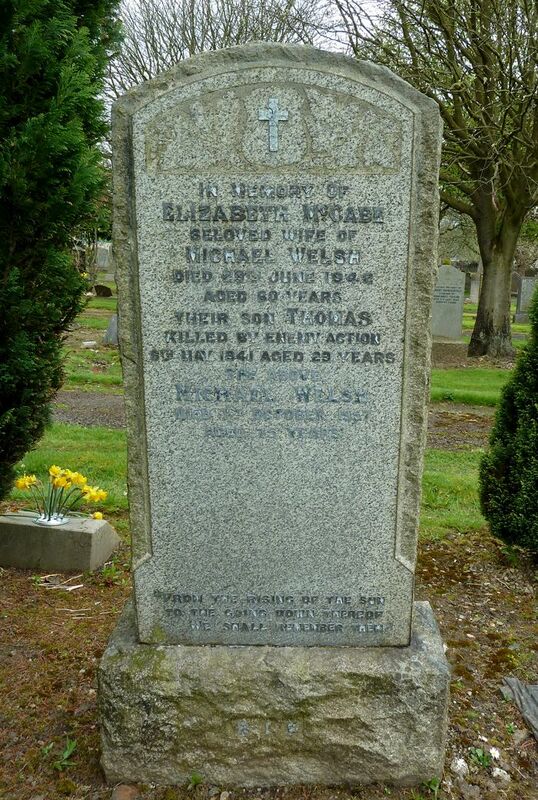 Son of Michael and Elizabeth McCabe Welsh, of 17 Blackstoun Oval. Died at Woodside F.A.P. Regiment/Service: Cameron Highlanders, 5th Bn. 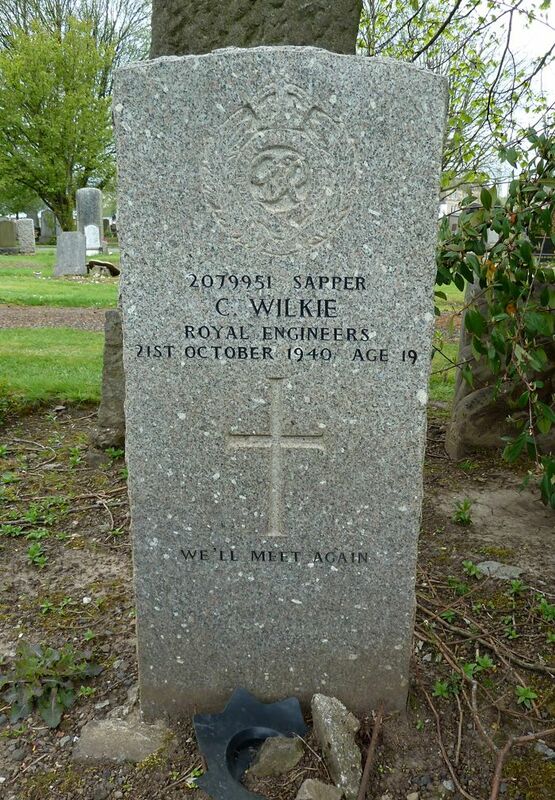 Regiment/Service: Royal Engineers, 238 Field Regt. Grave Reference: Sec. P. Grave 583. 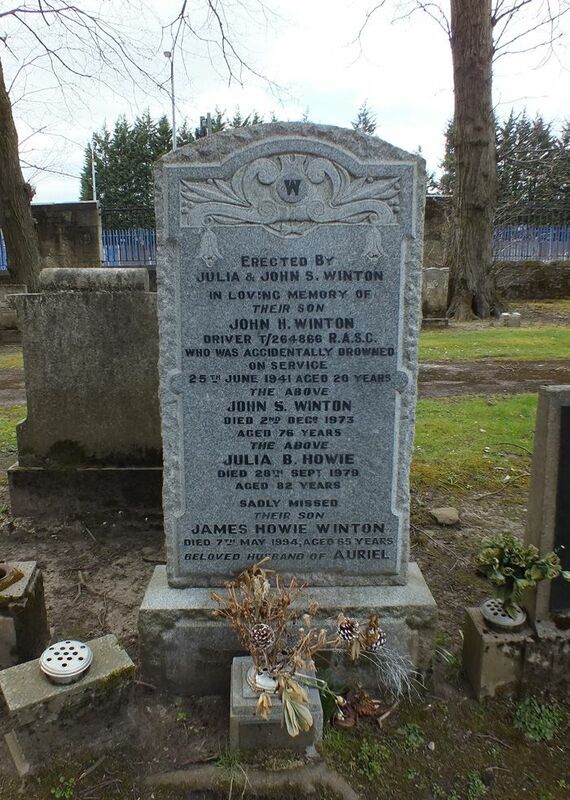 Additional Information: Son of Donald and Isabella McInnes, of Paisley. Grave Reference: Sec. M. Grave 677. Grave Reference: Sec. G. Grave 1533. Grave Reference: Sec. A. 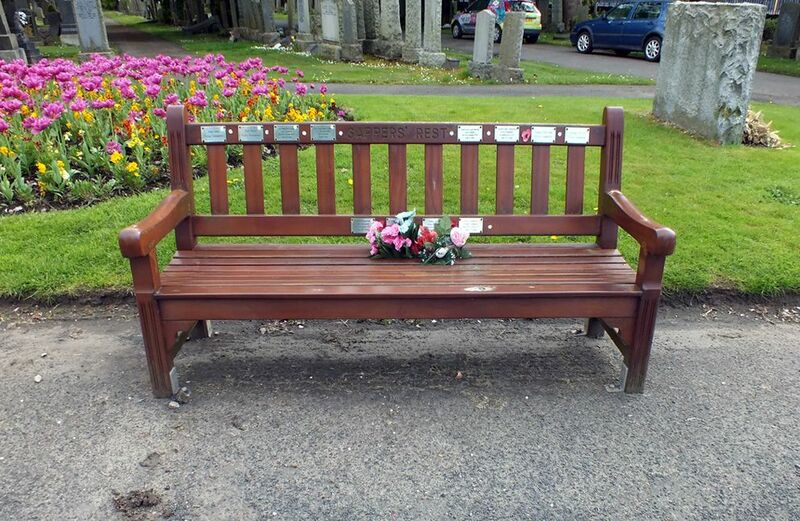 Grave 219. 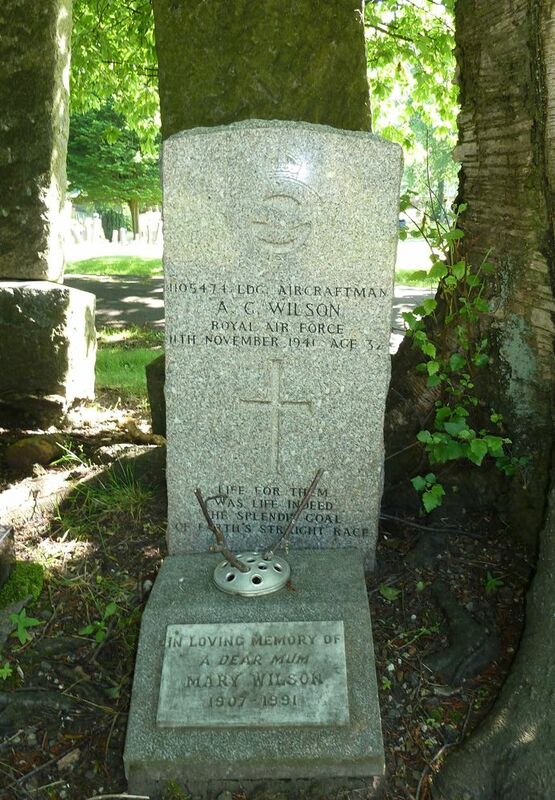 Regiment/Service: Royal Air Force Volunteer Reserve 501 Sqdn. Grave Reference: Sec. H. Grave 776-779. Additional Information: Son of Philip Duncan Woodsend and Norah Agnes Woodsend; grandson of Mr. and Mrs. 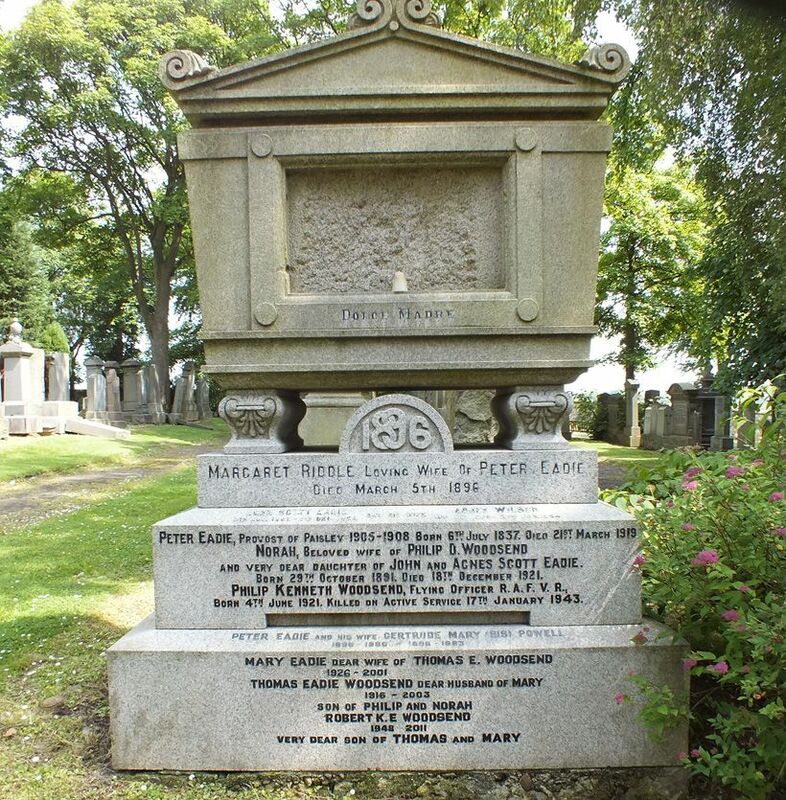 I. S. Eadie, of Paisley. Regiment/Service: Tank Corps, 2nd Heavy Bty. Grave Reference: I. F. 11. 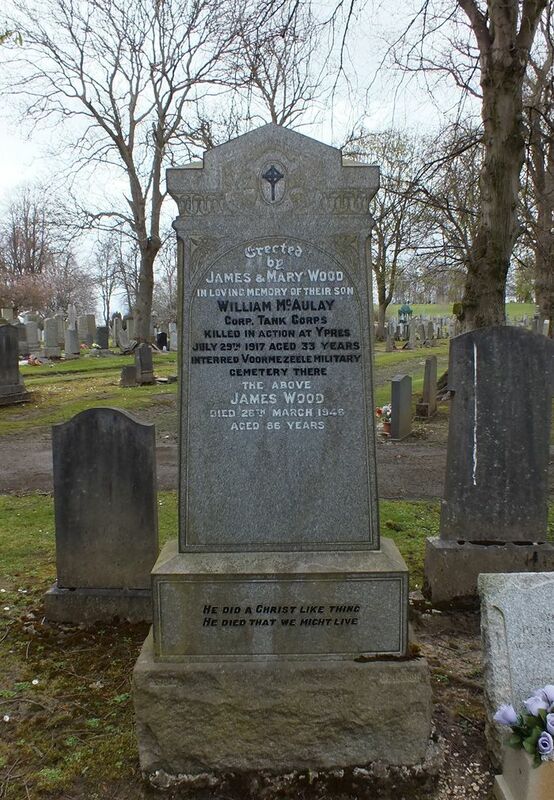 Additional Information: Son of James Wood of 2 Lylesland Terrace, Paisley. 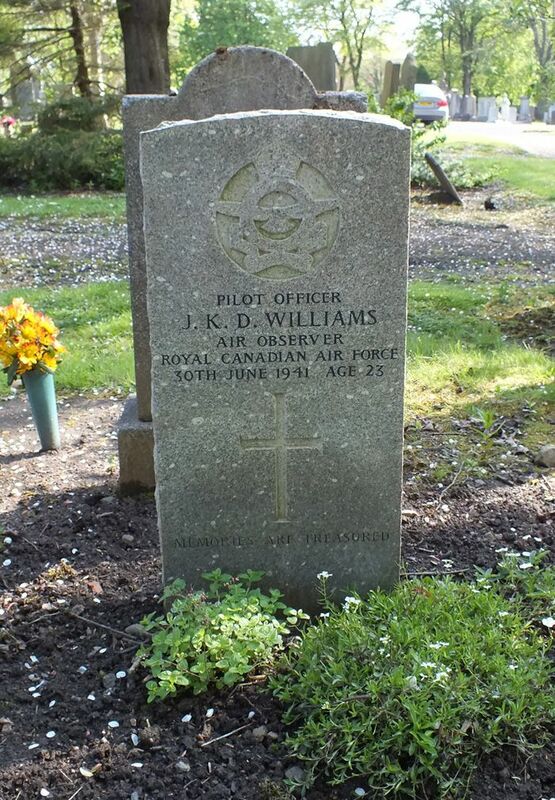 Regiment/Service: Royal Air Force, 86 Sqdn. Grave Reference: Sec. M. Grave 678. 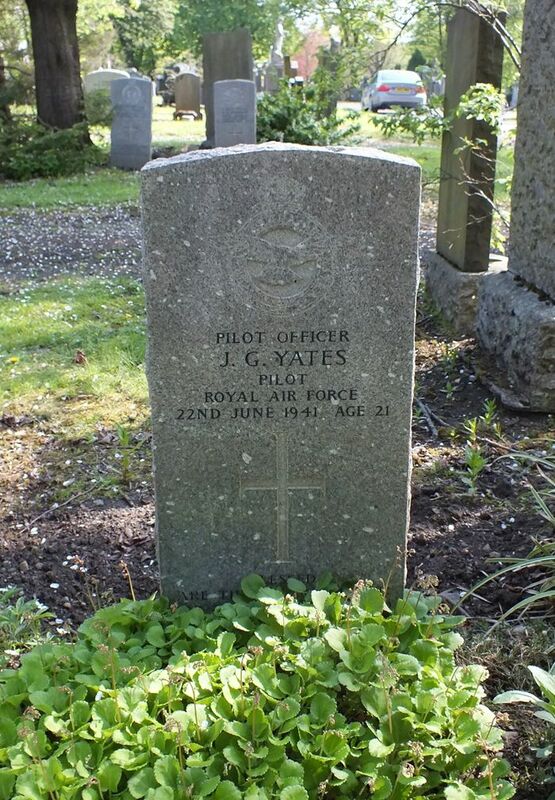 Regiment/Service: Royal Air Force, 222 Sqdn. Grave Reference: Sec. M. Grave 672. Grave Reference: VII. A. 26. 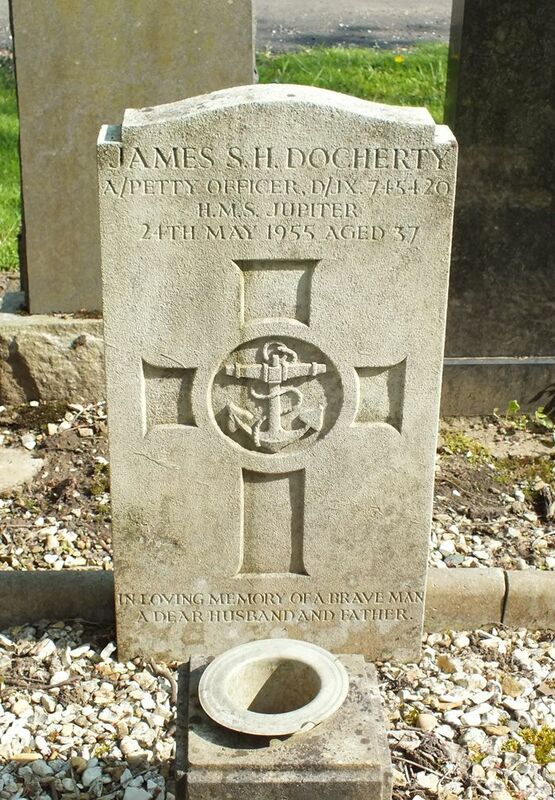 The following headstones are clipped corner CWGC headstones, known as the 'Non-World War' Pattern. 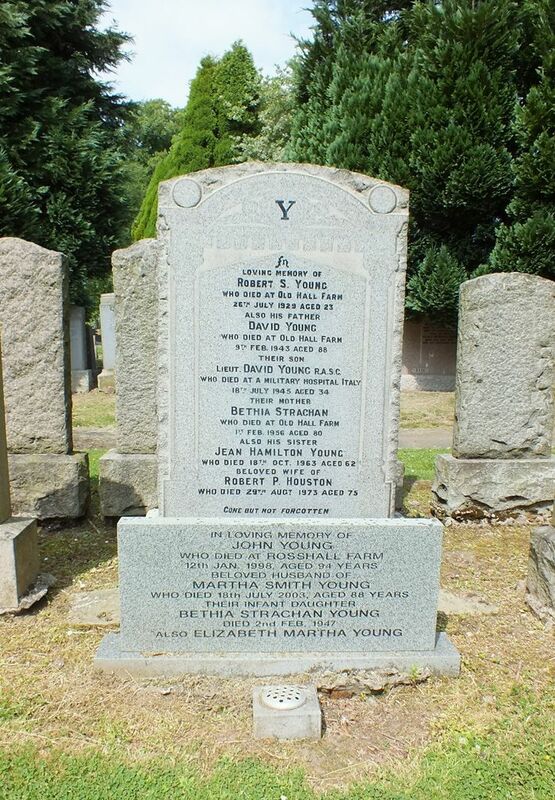 Petty Officer James Stewart Houston Docherty was found dead on 24 May 1955 at 81 Reidhouse Street, Springburn, Glasgow. From 1951 to 1958 HMS Jupiter was the collective name for the Reserve Fleet - Clyde. This was made up of the "moth-balled" Battleships HMS Anson, King George V and Duke of York which were moored together in Gare Loch. Many thanks to Ken Morrison for providing the information on HMS Jupiter & HMS Sanderling. 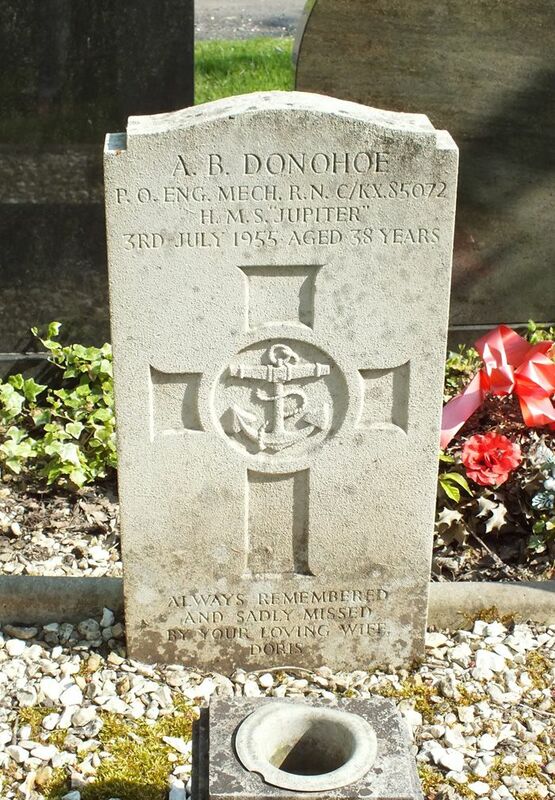 Petty Officer Arthur Brown Donohoe of 40 Robertson Street, Greenock died on 3 July 1955 in Greenock Royal Infirmary as the result of a "fracture base of skull". 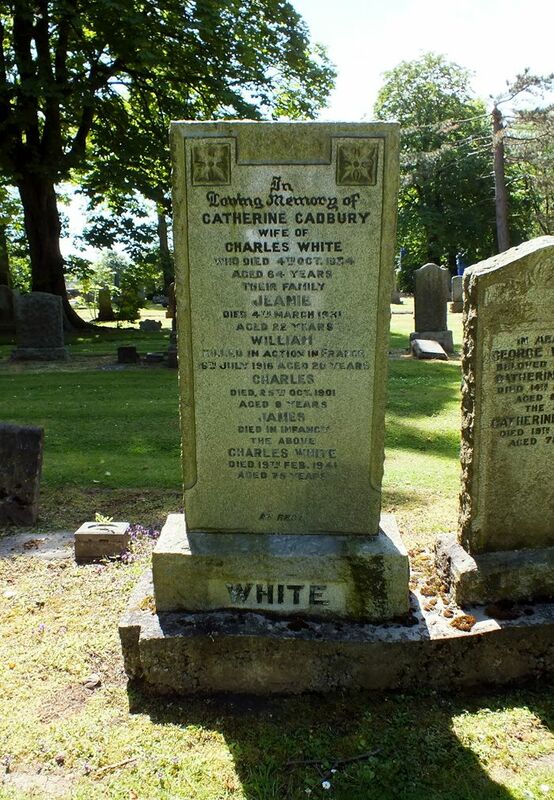 His death was registered by his step-father John Summers of Northumberland. 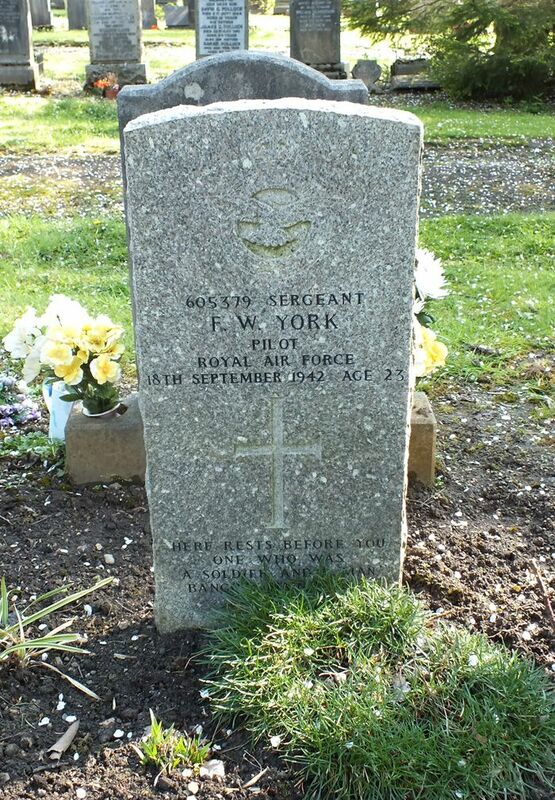 Arthur had been born on 29 August 1916 at Tynemounth. He had married, firstly, Beryl Hodges in 1942 in Birmingham and then Doris King or Gadd in 1950 at Westminster.